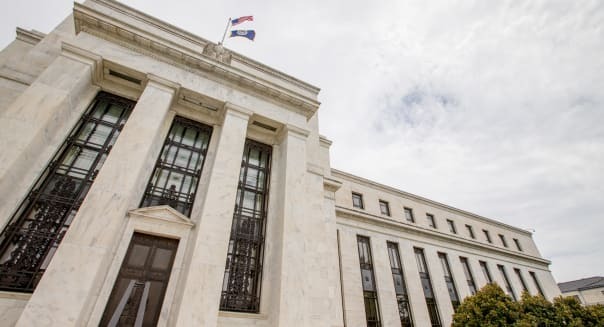 Andrew Harnik/APKeeping too close of an eye on the Fed's moves can make some investors believe that today's market and economic conditions are substantially different from the past. For nine years, there's been plenty of speculation about when the Federal Reserve might raise interest rates. The last central bank rate increase came in June 2006. The federal funds rate, the amount creditworthy institutions pay to borrow money from one another overnight, dropped to zero in December 2008. It's hovered near zero since then. For the past several years, financial experts and industry professionals have encouraged investors to shuffle portfolio holdings in anticipation of rising rates. Thus far, that advice has proved to be wrong. Whether or not the central bank raises rates in September, as many now expect, the barrage of Fed-related investment advice isn't likely to end. Many advisers strive to keep clients from acting on interest-rate forecasts, which have been notoriously inaccurate. Some of these incorrect predictions come from members of the Federal Reserve Board of Governors, or presidents of the regional banks. Fed officials regularly appear on TV, often causing an uproar with their comments. It's important to keep such news in context, says Nancy Hetrick, founder of Smarter Divorce Solutions in Phoenix. Hetrick is a certified divorce financial analyst, and she manages client assets through Houston-based Clarity Financial. A quarter-point increase in the interest rate, Hetrick says, wouldn't put a sudden end to the economic stimulus that's intended by keeping rates low. "To talk about these increases as if they have the same impact as an increase that results from excess growth and inflation and lack of capacity is absurd," she says. "It's easy for the talking heads to make people think this could be just tragic." Nine years ago when the Fed began lowering rates, almost no one would have predicted they would have remained extremely low for so long, says Brad Wasserman, managing partner at Wasserman Wealth Management in Farmington Hills, Michigan. "I would advise against making significant portfolio changes based on someone's prediction of where interest rates will be in the future," he says. In client accounts, Wasserman's firm opts for bonds with shorter maturities. This strategy can protect clients against interest-rate risk that's more typical in longer-term bonds. "We're proponents of buying individual bonds with staggered or different maturity lengths. We use two-, three- or four-year bonds, or maybe out to six or seven years, depending on individual circumstances. We wouldn't use all eight-year bonds, or all two-year bonds, because then you are making a bet on interest rates. We would rather have a smooth ladder to develop a portfolio of bonds," he says. Though Wasserman advises against changes to stock and bond portfolios based on the inevitability of rising interest rates, that's not necessarily the case with other interest-sensitive decisions. For example, homebuyers may be better off getting a fixed-rate mortgage today instead of two years from now, if they expect their personal situation to remain the same or improve. Likewise, it may be a mistake to prepay a fixed-rate mortgage with rates at historic lows, rather than in a few years, when money is worth more and rates are higher. %VIRTUAL-pullquote-If you look at Fed activity, rates are still very, very low. Even if the Fed raises rates, they will still be very, very low.%One effect of the constant Fed-watching is that some investors start believing that today's market and economic conditions are dramatically different from any in the past. Rogowski says tying portfolio buying and selling to Fed moves is an exercise in market timing. Hetrick says investors who understand the emotions inherent in investing are better prepared to stay the course when confronted by rate-hike hysteria. That's where an adviser who serves as a coach and educator can help investors stay on track. "An adviser has an obligation to educate clients on ongoing basis, so when things like rate increases happen, the client can say, 'Oh, yeah. We talked about that a few months ago, and I understand it, so now my emotions are not going to get piqued.' It's all about our emotions, so when we hear bit of unfamiliar news, it will trigger fear," she says. Combating that fear requires steady reminders of why an investment strategy is in place, and why it's worth sticking to. "When you give people the opportunity to stay in their logical brain and not go to their emotional brain, they do just fine," she says, "But they can't do that if they have no knowledge on the logical side to apply."